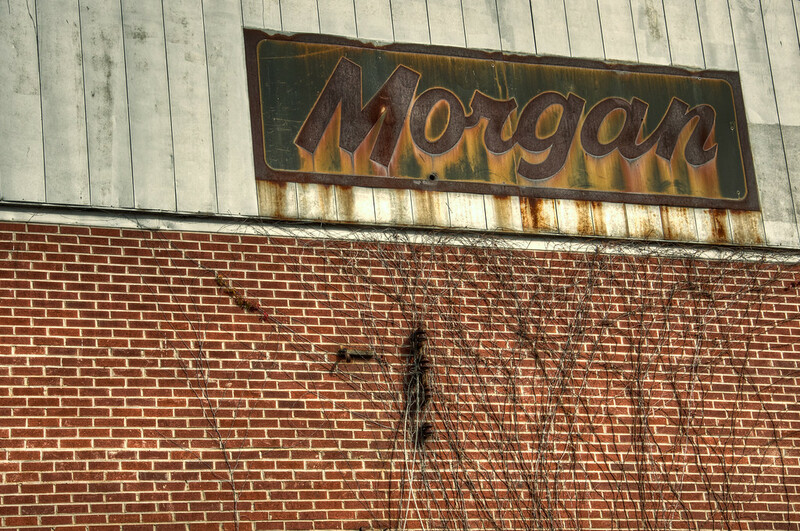 Morgan's | Just Shooting Memories! Stop by the project 52 page for the complete list of themes for 2013. If you would like to see any others, or have any suggestions, let me know. I found this abandoned building near Cartersville Georgia. I have no idea what the original purpose of the building was, but the building is very large. Now it is open to on one side due to the complete collapse of that wall. This is what remains of the signage from the building.